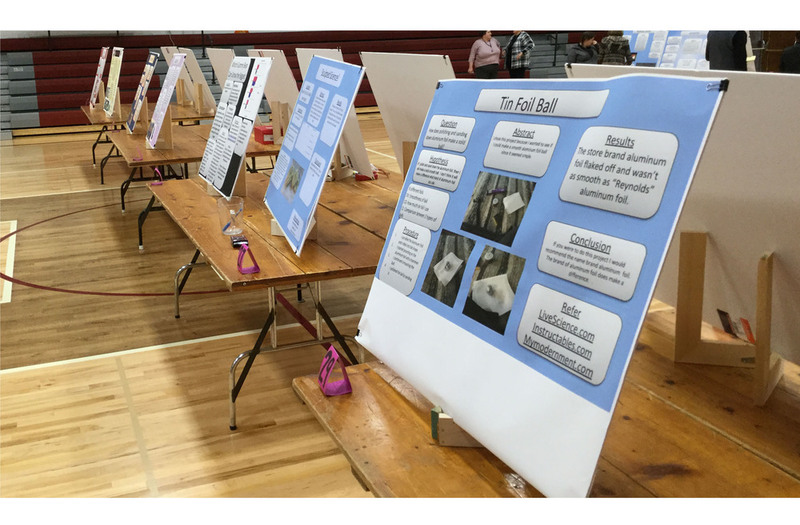 The 2019 Elwood Science Fair is over. Students in grades 5-8 have completed their experiments, analyzed their data and made their presentations on subjects ranging from diesel engines to the effect of music on athletes to saltwater density. There were many great projects judged today and here are the results. Congratulations to everyone for their hard work. 3rd Place - Cici Lerdall - Do Your Eyes Have It?